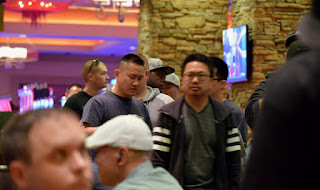 Starting time for the 4th @AnteUpMagazine Worlds Catapult moved up to 9am to accommodate the anticipated large fields for both flights today ... and it sure looks as though players have responded. Between players already seated and those pouring through the doors there's at least 180 here right now. Registration and a single re-entry per player per flight is available until 1:15pm - the start of Level 7. 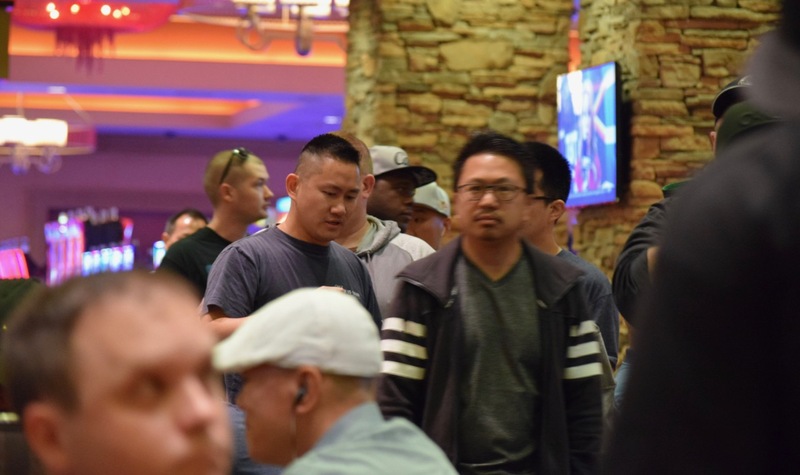 PLayers have 12,000 betting units and 20-minute levels during registration, with 30-minute levels once registration closes.